« Ethiopia: Why the Secret & Confusion Regarding Meles Zenawi’s Absence? 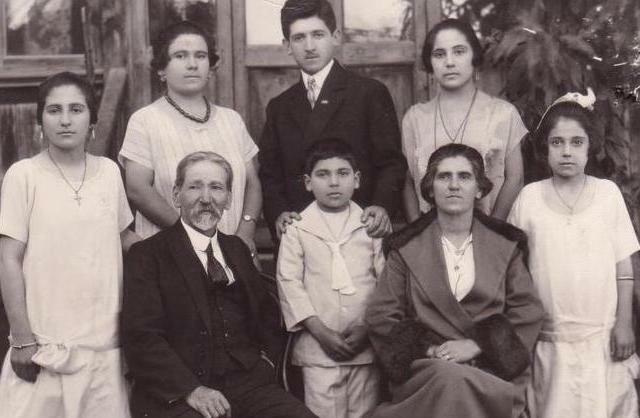 New York (TADIAS) – In the early 1900s, when Armenians were faced with genocide orchestrated by the Ottoman empire, scores of families escaped and some arrived and settled in Ethiopia. Armenians make up one of the oldest immigrant communities in Ethiopia. Vahe Tilbian, a 4th generation Ethiopian-Armenian, told TADIAS magazine that “historically Armenians worked as goldsmiths, carpenters, builders, teachers, embroiders, silk makers, and carpet makers.” His great grandfather Tavit Aslanian was a carpet maker in Empress Zewditu’s palace, his paternal grandfather was a tailor in Addis and his maternal family members were cobblers. Armenians have likewise contributed heavily to Ethiopian modern music. Kevork Nalbandian was an Armenian who composed the first national anthem for Ethiopia as well as served as the musical director of Arba Lijoch. His nephew Nerses Nalbandian was involved in the founding of the famed Yared Music School as well as led the Municipality Orchestra. A kickstarter campaign has now been launched to produce a documentary of the unique history and contributions of Armenian-Ethiopians. The Tezeta campaign is directed by Aramazt Kalayjian. Glad to see the new (third and fourth) generation preserving the memory and amazing journey of the Armenian community. Good luck! I like the idea and I wish you all the best! Just made my contribution! I will proudly support this project and call for more Ethiopians to support this project. In so doing, we will learn a lot about the evolution and history of our music. I will like to see more projects like this by independent professionals which we can fund and support and learn from. Ethiopian Armenians have been good to Ethiopia for a long time. I am happy that someone is going to take the time and expenses to document this very important segment of Ethiopian and Armenian story. Even though Armenians have been coming to Ethiopia for a long time, the first major migration is of 40 Lijochic ( 40 Orphans) who came to Ethiopia. As Armenians in Ethiopia were hard working people they had reasonable level of success thus when the Ethiopian communists ripped them off the most. It is a shame on the way they were treated at the end. God Bless Ethiopia and Armenia. Armenian writing is also borrowed from Ethiopian alphabets by someone from Armenia long ago. Research is needed to identify the exact date but this appears to be the fact that one man studied Ethiopian writing and adopted it. This is even a much greater link to the two countries other than their religions. This is a very intersting news. Such projects can help to reserve the historical link of Aremenians to Ethiopia and contribute to create a chain of cooperation between generations of the two countries. Who is more Ethiopian than the Armenians who came to the country in the early 20th century. Their footprint particularly in music is going to last forever. If you happen to roll around Piassa, it is hard not to observe their footprint. I wish the producers of the documentary success. Even for many Armenians in the diaspora, the Ethiopian group is forgotten, despite the fact that the first Armenians came to Ethiopia already in the 16th century. More followed at the end of the 19th century, and in connection with the Armenian genocide the Armenian population was reduced to just over one thousand. But today there are few Armenians in Ethiopia, and many Ethiopians have forgotten the role that the Armenians have played through the years. Ethiopia’s Armenians belong to the past, though no one has investigated what happened: there is very little research on Diasporas in the Third World. That’s the reason why I support this project! There are some real similarities between armenian alphabet and Ethiopics script (abugida), probably coincidental or incidental. The point made earlier coulde be correct! since Ethiopia and Armenia converted to Christianity around the same time, plus our first Abuna being Armenian, they could have adopted the Alphabet from Ethiopia, and the Geez alphabet. I was born and raised in Asbe Tafari, Harraghe. Its current and traditional name is Chiro. I remember Armenians in that small town who were involved in a variety of trades. I remember a Photographer named Garo. His photo studio name was called Photo Garo on Ras Darge Road. And there was another one named Muse Bogos (Bogosian) who owned the town’s limited electricity. Muse Bogos came there in the late twenties and he was the one who built the road that linked Asbe Tafari with the railroad town of Mieso. Fitawrary Tekle Hawariyat was the governor of Chercher Awraja at that time. Muse Bogos was close to my father and my father had told us a story of an incidence between Muse Bogos and the Governor that occurred in early 1930’s. Muse Bogos had built a bridge over the Mieso River with out any help from the governor. The governor decided to drive his mint fresh automobile to Mieso and decided to drive over the bridge. Muse Bogos was incensed at the behavior of the governor and came out with his gun to protect the bridge. The governor knowing the prestige Muse Bogos had as one of the Arba Lij backed off and drove through an alternate route. He was a gifted engineer. At the later days he was involved in bridge construction and was killed in an accident while building a modern bridge over the Mieso River in 1964 or 1965. There were other Armenians in that town whose name I forgot and might have been members of the Arba Lij or at least related to those who were. Some of them were married and had children. That small town was so vibrant with diverse inhabitants. There were Armenians, Arabs, Greeks, Italians, Oromos, Amharas and others who made the town their home. I am not sure if it is still the same since I have not been there since I left more than 45 years ago. But the history of Armenians runs deep in the history of that town. of the. Armenian. Alphabet. Ayele Bekerie. In March 1988, while I was reading The New York Times, I was introduced for the first time to the Armenian alphabet. The article is also published by Addis Admas in Amharic perhaps six month ago. The original work on the possible influence of fidel on Armenian alphabet was part of my PhD dissertation which I defended in 1994 at Temple University. Yegermal, I am was born in Asebe Teferi too. Thanks for sharing the story of the Armenians there. I am too young to remember that because there is no trace of it there today, but interesting to learn about it. For those of you wo do not know, Asebe Teferi (also called Chiro or Asba Littoria) is a town and separate woreda in eastern Ethiopia. Located in the Amhar Mountains. Although by the 1930s a road existed which connected the town with the railroad station at Mieso, another road was constructed connecting Asebe Teferi with Metehara with Swedish funds in 1966. Its market convenes on Thursdays. Mobile telephone service arrived at Asebe Teferi March 2009. Landmarks in Asebe Teferi include Igzeabeher abe and Ledeta Mariyam Bete Kristian, Chercher comprehensive secondary school, Mekonnen meda, Feres Megala,Total Mesgid, Gashegna camp, Adarash, Kuter ande, Kuter hulet, and Kuter soset temehert bet. It is the closest town to the Kuni-Muktar Wildlife Sanctuary. My best friend from childhood and still today in our 70′s is an Armenian. It is true that we have never really thought of him other than Ethiopian. He knows noting else. It is very important to record our people-to-people relations of preserving our Ethiopian history. God bless the filmmakers and I wish them much success in their endeavors! I wish also for the new generation to focus on establishing first class museum to collect and preserve our history. The Armenian community have played crucially a considerable role in the life of modern Ethiopia.When the Italian Faciest occupied our country with the help of Hamassien askeris,Libyian mercenaries and Somali camel carravan mobile killing unites, it was Aremnians like Kosserove and Bogossian who fought in the far front side by side against Italians. For this activity, both were imprisioned for 5 years in the south Islands of Italy with Ras Imrue,Addis Alemayehu,3-year-old KIfle Wadajo among others. How can one forget also the patriot Amde Berhan Semerjbashin who played a prominent role in the underground during the 5 years occuption in Addis Ababa when the Emperor abandoned and leave the country in disarry. It was this Armenian, Seberjbasian who helped the patriots with logistics and money in coordinating and harnessing the efforts to combat the ominious Faciest. For this after liberation,ironically he was assinated by the Emperor’s hench men not very far from St. Mary church. We know it for long. I enjoyed reading this article and the comments and learned a lot. I look forward to the complete project. Good luck!! I am humbled by the amount of support present here on this article and for our documentary project. It is truly an inspiration for me to hear more about the intertwined histories of Armenians and Ethiopians, because the more I learn, the more I realize I need to learn more. The stories of the Armenian community working hand-in-hand, side-by-side with Ethiopians during the Italian invasion is truly amazing and heartwarming! It is one of the rare stories where ‘white people’ actually defended and sided with the native inhabitants of an African nation! And the story of Garo the photographer in Asbe Tefari, Harraghe and Muse Bogossian is remarkable! The have one of the Arba Lijoch be working on infrastructure despite the poor relationships with the local governor, who hears these type of stories anymore? These stories are so rarely heard that I feel honored to be able to witness them here. I only hope we can raise enough funds to be able to research, interview and film as many parts of the story of Ethiopian Armenians. Thank you from the bottom of my heart! And if you haven’t had a chance to take a look at our documentary’s website yet, please take a look! I have a fond memory of the Armenian Club – Arart in my childhood neighborhood by Arba Dereja in Addis where we played tennis & soccer at the club with Mesrop, Socrates, Gabi..
one of Ethiopia’s best known and accomplished artists was also an Armenian-Ethiopian. Thank you Ayele Bekerie for the link to your research work and congratulations for making such a contribution. I mentioned above about the relationship of the two scriptures because a friend had attended a lecture in Rome, perhaps 10 or more years ago. The presenter was an Armenian Professor I think, who shared with the group that their writing actually originates from Ethiopian alphabet but I don’t know his name or any other information. And the 1st map of the Horn of Africa in Amharic was the work of an Ethio-Armenian Geographer at the court of the regent Tafari Mekonen. Thank you all for this wonderful information. One of Bogosian son is living in Belgium, hope someone will contact him in order to learn more on the Armenian community in Ethiopia, past and present history.